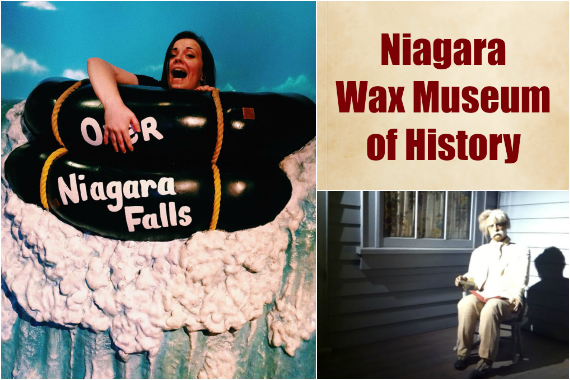 Visit the Niagara Wax Museum of History for an educational fun time! Learn about the area in a unique way today. "We're feeling extra lucky to call this beautiful city home." "Stories are meant to be shared. #Yelp"
The wax figures come to life at night and run amok. I have proof. Went to see Niagra Falls and visited here. This is one of my favorite wax museums everr! Beautiful and realistic. Very creative and educational. I loved everything about this place. If youre a History buff..this is a great museum. If your kids are scared easily dont bring them here. But overall it's a good experience with valuable knowledge to be gained and set up nicely. Yes, I'd like to receive news from Niagara Wax Museum of History. Sign up for the Niagara Wax Museum of History Newsletter!